KAZAN, Russia (AP) With its top player out injured and two losses already at the World Cup, South Korea has plenty of work to do to progress to the knockout round. 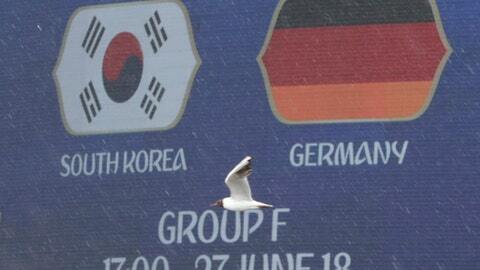 To make things even tougher, the team’s final group opponent is defending champion Germany. South Korea’s already slim chances have taken a hit in the buildup to the match when captain Ki Sung-yueng was ruled out with a left calf injury. The Swansea midfielder is South Korea’s most experienced player, with 104 appearances with the national team.